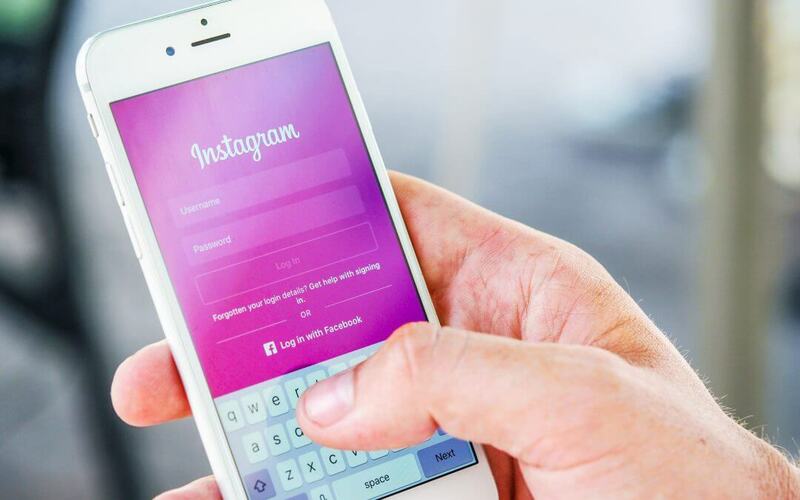 Instagram is one of the worlds most popular social media platforms, this platform attracts all people from all walks of life. That is why it is important to have an instagram account for your business. Just having an instagram account and posting isn’t enough to stand out from the crowd if you are in a competitive industry. So today I will be giving you 3 Tips For Creating The Perfect Instagram Post! Editing your photo is key to having good engagement with your followers and is the most important part of attracting new customers. The way that you edit your images is up to you, you can edit your photos to be very bright and colorful or very faded dark, either way choose an editing style and stick with it. The best way to keep your editing the same is to use presets or filters. If you down a decent camera and want to take some high quality images yourself, that is the best option! When doing this I highly suggest you purchase the program Adobe Lightroom. There are two different versions Lightroom Classic and Lightroom. For the more advanced user I recommend purchasing Lightroom Classic and for all others I suggest Lightroom. Both of these programs are very simple to use and there are tons of tutorials online to teach you how to use the programs. The reason why I suggest that you use Lightroom Classic or Lightroom is that they both have presets. Presets are simply preset settings that you can put on any image, and this can make it very easy to make all of your images have the same editing style. These presets can be either created by you or you can purchase presets online. These presets usually come in packs, so for like $15 you can get 20 different presets! If you do not have a decent digital camera and you just want to use your phone, that is no problem there are some great options for creating awesome images! The apps that I suggest are VSCO, and Lightroom Mobile. Both of these are very great options for editing photos on your phone and making them look like a professional took them! VSCO is free app to download that comes with about 20 free presets, if you would like more editing options and presets you can pay and get these features. VSCO primarily is used to give your images a “Film Photography” look. But these presets that they offer can be adjusted so that you can make the image exactly the way that you want! Lightroom Mobile is simply the mobile version of Lightroom. It is a very great and robust photo editing tool that will allow you to edit your image any way that you please. But Lightroom Mobile is not as user-friendly and simple as VSCO. If you do not have any experience with photography or editing images, I suggest you stick with VSCO. But if you do know the basics of photography, Lightroom Mobile is the better option. Instagram captions are important because this is where you can really interact with your followers. To get the most out post you will want to make the caption relevant to your image. So if you posted and image of you and your employees doing some landscaping for a customer, you would want to caption it something relevant to the job you are doing or the service that you are trying promote. The next part of creating a great caption is to always end your caption with a call to action. A call to action can be as simple as a “Call us today” or can be something more fun like “what is your favorite holiday?”. The goal of these call to action is to get the follower to engage with your post or your business. Without asking them to give their input or to do something they will move on to the next post. Using hashtags is an easy way to get a few more followers and likes on instagram. The best way to go about using hashtags is to find relevant hashtags to your image or company that are not too over used. For example, it would be better to use the hashtag #socallandscaper than it would to just use the hashtag #landscaper. The reason for this is that even though not as many people might look at the #socallandscaper but the people who do look at this hashtag are more likely to be potential clients since they are in your area! Another great tip for using hashtags is to limit yourself to 20 hashtags per post. Yes, this may seem like a lot of hashtags but it really is not when you are hash tagging a lot of similar things. For example, if you are from the city of Costa Mesa and you are a landscaper, you may want to use the hashtags #costamesa #costamesalandscaper #landscaping #irrigationservices. As you can see it is very easy to come up with many different variations of the same keywords. To sum up hashtags, stick with under 20 hashtags and make sure that these are hashtags that your potential customers might be looking at. Want to learn more about digital marketing? Then check out the rest of our blog posts!